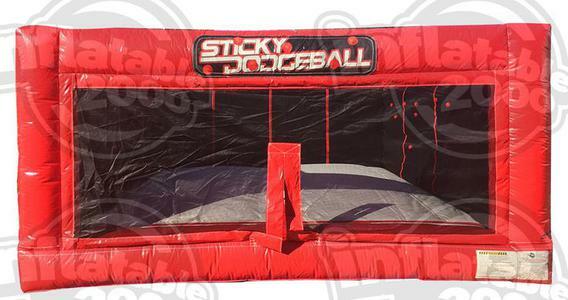 Sticky Dodgeball was popularized by The Jimmy Fallon Show and is now in an inflatable version. 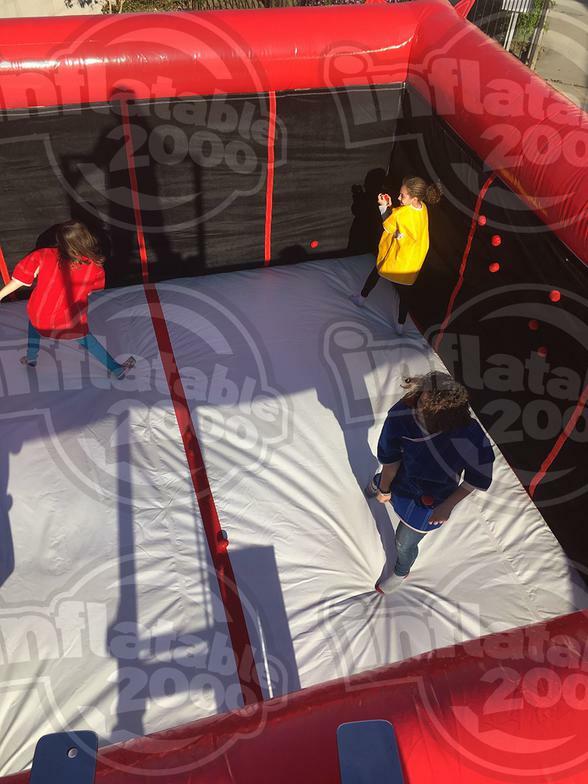 The game starts by placing the Velcro balls on the center red Velcro strip. Once the ref blows the whistle, the players make a mad dash to the centerline to grab the sticky balls and thrown them on their opponents Velcro vest. The winner is judged by whoever has the least number of sticky balls on their vest. Game can be played with 2-4 players.